Know the stats you need to get in to your top choice medical school! 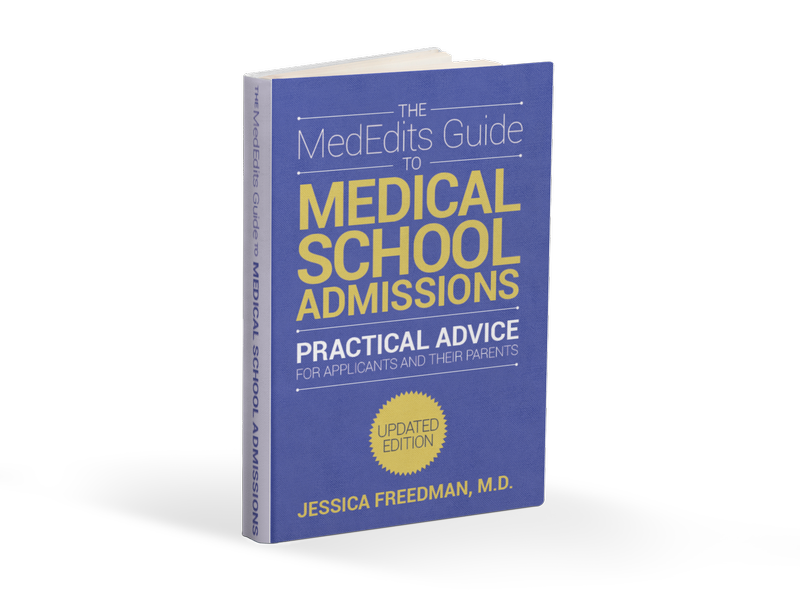 There are several factors that influence whether or not a student is offered a medical school interview and ultimately a medical school acceptance during the medical school admissions process. While there are a ton of subjective criteria that impact interview and admissions outcomes, for the purposes of this article we will focus on the objective criteria, or med school admission stats, that impact success. These medical school admissions statistics serve as the foundational building blocks for every student’s candidacy. Sometimes applicants have a difficult time hearing this fact: no matter how exceptional an applicant’s background, personal statement, activities entries, letters of recommendation, and secondary essays, it is often impossible to overcome low medical school statistics. The two biggest objective med school admissions stats that determine an applicant’s success in medical school admissions are the Medical College Admissions Test (MCAT) score and undergraduate grade point average (GPA). It is not always simple to find out a medical school’s average MCAT score and GPAs for accepted students since the Medical School Admissions Requirements (MSAR) only lists MEDIAN (or middle) statistics and not MEAN (or average) statistics for accepted students. However, some medical schools, but not all, post this data on their websites. Understanding the numerical criteria that influence an applicant’s success in the process will allow premedical students to set goals. It also enables medical school applicants to gauge how competitive they are in general, and for specific medical schools in which they are interested. Looking to dig into more data, click here to view the AAMC’s data page. Finally, it is important to review medical school acceptance rates to get an idea of each medical school’s competitiveness. The lower the medical school acceptance rate, the more competitive the medical school. And, the higher a medical school acceptance rate, the less competitive the medical school. When deciding where to apply to medical school, a student must research each medical school’s average acceptance rate. By understanding medical school acceptance rates, applicants can understand for what medical schools they are most competitive. However, many medical schools do not disclose how many applicants they actually accept. Medical schools may only publish how many applications they receive, the number of applicants they interview and how many actually matriculate. Therefore, it isn’t always possible to know what percentage of applicants interviewed are ultimately accepted. Typically, the more competitive the medical school, the lower the acceptance rate. There are some medical schools that one might not think are very competitive based on the average GPAs and MCATs of accepted students. However, some of these “less competitive” schools receive a very large numbers of applications and interview a small percentage of applicants making them quite competitive. 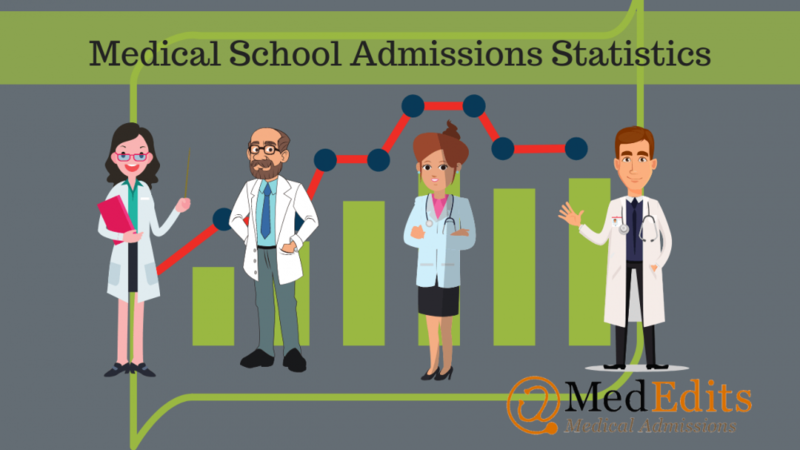 Have questions about how these admissions statistics can help you with your medical school application? Schedule a free 15 minute consultation! Which medical schools receive the most applications? The following medical schools received more than 14,000 applications! The following medical schools received more than 10,000 applications! In 2018-2019, there were 849,678 medical school applications submitted by 52,777 applicants. Therefore, on average, each applicant applied to 16 medical schools. In total, 21,622 applicants matriculated meaning 41% of medical school applicants matriculated. Acceptance rates between medical schools varies significantly. For the most selective medical schools, such as Harvard Medical School, the acceptance rate is 3.8%. However, some medical schools have much higher acceptance rates. For example, the University of Tennessee has an acceptance rate of 13.8%. Average medical school acceptance rates are 7%. With an increasing number of medical school applicants every year, acceptance rates continue to decrease especially at very popular or competitive medical schools. Related Video: Should I take a gap year? For reference purposes, know that the highest possible MCAT score is a 528 with with a 132 on each of the four sections. According to the Association of American Medical College, the average MCAT for students accepted to allopathic medical schools in the United States was 511.2 which was slightly higher than the previous year, 510.4, showing an upward trend of average scores for accepted applicants. The typical MCAT score one needs to be competitive for medical school admission is a 509. MCAT scores of 507 or below are generally considered low and not competitive for allopathic medical school admissions. There are exceptions, however, to this rule. An MCAT score of 518 or above is considered exceptional. Most medical schools have MCAT cut off scores meaning that an applicant must earn above a specified score in order for the medical school admissions committee to review an application. Unfortunately, medical school do not always make this data public. Earning the highest MCAT score possible with the lowest number of exam attempts is ideal for getting in to medical school. For example, the student who has taken the MCAT three times, earning scores of 503, 504, and 512, may be evaluated as a less competitive applicant than the applicant who took the exam once and earned a 512 on the first attempt. Medical schools see all exam results which is why one high score among several lower scores could be interpreted as an outlier. Which medical schools have some of the lowest median MCAT scores for accepted students? Which medical schools have some of the highest median MCAT scores for accepted students? An applicant’s GPA in all three categories is one of the most important factors in medical school admissions. Like the MCAT, many medical schools have minimum GPA cut offs they will consider. However, these cut offs are not always made public. Keep in mind that these are average GPAs! There is a pretty big variation of matriculant GPAs from medical school to medical school. The typical GPA we advise students to have is a 3.5 across all subjects. However, we work with many students who have GPAs lower than this who are accepted. Grade trends are also important with an upward grade trend making you a more competitive applicant. The rigor of your academic classes and undergraduate college reputation can also impact how your grades are interpreted. We consider the range of competitive GPAs to be 3.4 – 3.5 or higher. Which medical schools have some of the lowest mean GPAs for accepted students? Which medical schools have some of the highest mean GPAs for accepted students? Related Article: Average medical school GPA (By school). In summary, the most important criteria in the medical school admissions process are MCAT score(s) and GPA(s). These factors are the cornerstones of every applicant’s candidacy. If you are about to embark on your premedical journey, keep in mind that academic excellence should be a primary goal. If you are getting ready to apply to medical school, honestly assess your chances of medical school admission by objectively evaluating your stats together with medical school admissions rates to determine your competitiveness. Need more inspiration on how to interpret the latest data? Visit the Student Doctor Network.